ISRO, successfully made its 100th launch today. India's Cartosat-2 and satellites of 30 other countries have been taken up in ISRO's 100th flight PSLV-C40 to space. 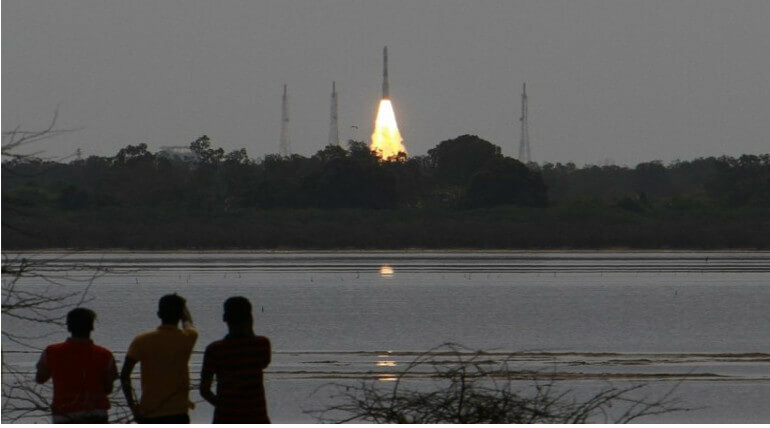 India's Polar Satellite Launch Vehicle in its 42nd flight was launched with India's Cartosat-2 and 28 co-passenger satellites of other countries with two other satellites of India. It is 100th launch to orbit of ISRO today from first launch pad of Satish Dhawan Space Centre, Sriharikota on 9:29 am. The co-passenger satellite includes one micro and one nano satellite of India, 28 satellites of teamed up countries includes Canada, Finland, France, Republic of Korea, United Kingdom and United States Of America. The total weight of those satellite carried by PSLV-C40 was 1,323 kgs. The Cartosat-2 was the primary satellite carried by the PSLV. The satellite was the similar to the previous satellite of the version. But this one will help in improvement of applications like Cartographic application, Urban and Rural development, Road network monitoring, Land information system, Geographical information system. ISRO said the 28 international satellites were launched as a part of commercial arrangements between with ANTRIX Corporation limited. It also informed that all satellites in board will be stabilized in space within 2 hours 22 seconds after the launch.